Lapland – Northern Europe’s untamed and unique land is the great home of the Sami, charismatic wildlife species and natural treasures. In the heart of the forest, somewhere close to the northern Swedish town of Boden, the hunter calls the hunted. 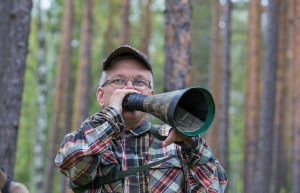 Standing between soaring, serried trunks of birch and spruce, local Sami Mikael Suorra puts a camouflaged cone to his mouth and blows. A curious moaning noise, interspersed with strange whining sounds, echoes through the trees. 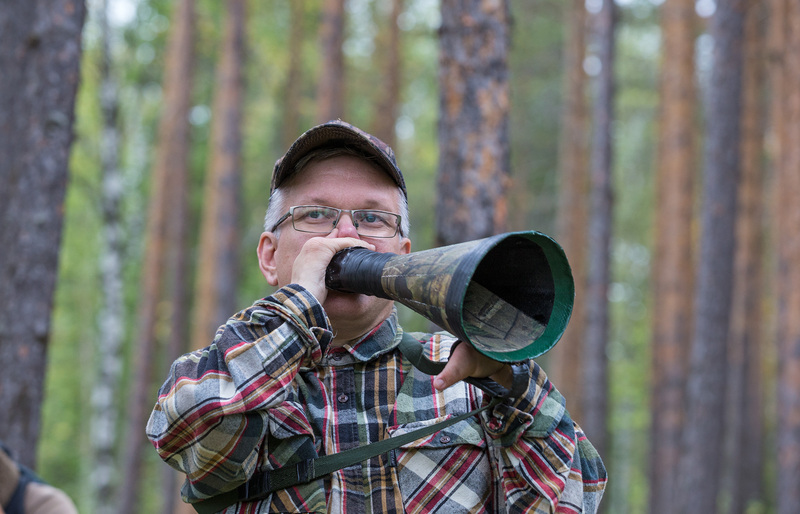 Mikael Suorra, a local Sami, is the founder of Hide&See – a wildlife watching business in Lapland rewilding area. — “That, everybody, is the sound of a female moose in the mating season,” he says with a grin. According to Suorra, anyone who isn’t tone deaf can call a moose. Callers can either use passive tactics, which means simulating the sound of a cow to attract an amorous bull, or aggressive tactics, which means simulating the sound of a bull, to attract indignant local males. Suorra once hunted the forests of Swedish Lapland. But today he’s more interested in showing others some of the magnificent mammals that inhabit a region known as Europe’s Alaska. That not only means moose, it also means bear. Northern Sweden’s vast wilderness is home to a huge diversity of animals. This is a land where the brown bear, lynx and wolverine still roam free. 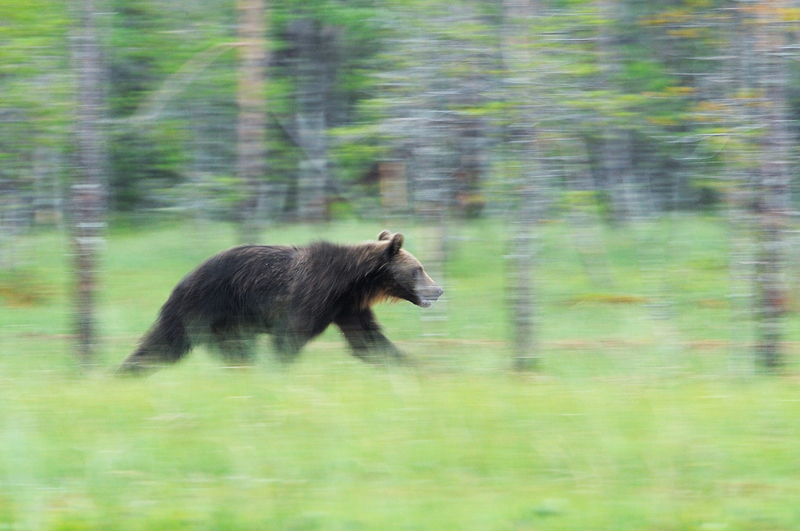 Of these, the bear – of which Sweden is home to an estimated 2500 animals – is perhaps the most magical. Swedish Lapland is home to a variety of wildlife including the brown bear (Ursus arctos). Suorra is well-placed to evaluate the telepathic powers of the bear. Much of his life is now devoted to interacting with Swedish Lapland’s top predator. Leveraging northern Sweden’s fantastic potential for wildife watching, Suorra recently founded Hide & See. Set in the beautiful forest of the Lule River valley, the company is based around what must be Lapland’s only five-star animal hide, which was constructed after years of careful research. Today Suorra’s burgeoning number of clients enjoy a solar-powered structure that resembles a home more than a hide, with second-to-none facilities including beds, a kitchen and a toilet. Bears have an incredibly keen sense of smell, so the latter boasts an ingenious ventilation system to keep local animals from picking up human scent. Guests typically stay overnight, sustaining themselves on snacks made with locally sourced ingredients, and taking naps between the wildlife viewing. Of course, seeing bears and other local fauna remains the priority, with adjustable chairs and individual shelves for cameras and telescopes a far cry from your average, bog-standard hide. Suorra leaves bait in a nearby clearing, with viewing portals and bean bags oriented toward the site. Suorra’s expertise in concocting bear snacks has already been proven, with Hide & See guests enjoying regular sightings of bears, as well as other wildlife such as moose, foxes, martens and even golden eagles. 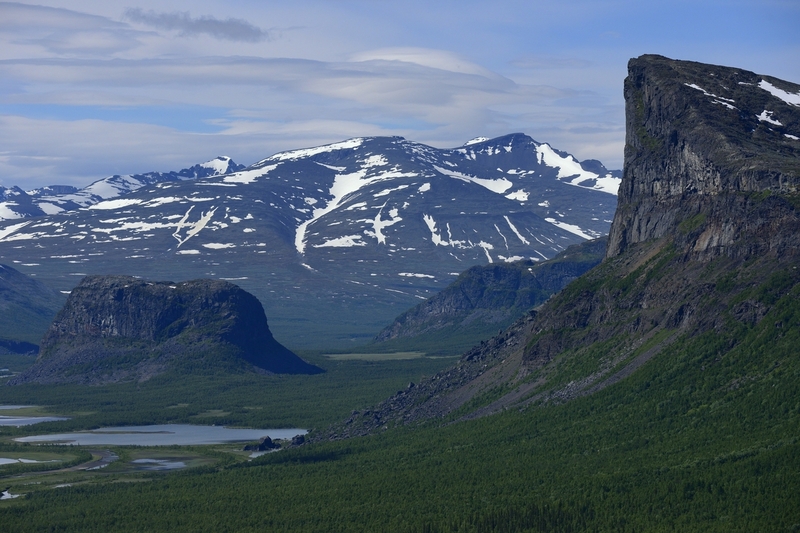 The success of Suorra’s new business bodes well for nature-based tourism in Swedish Lapland. As one of the world’s most underrated wildlife watching destinations, northern Sweden has fantastic potential for a far more developed nature-based economy. One of the primary objectives of Rewilding Lapland, which will help Suorra to promote his business, is to help grow such an economy.